I bought Tale of Lunarmorte but it looked like a long series and I just couldn’t get into the story after reading the first chapter. 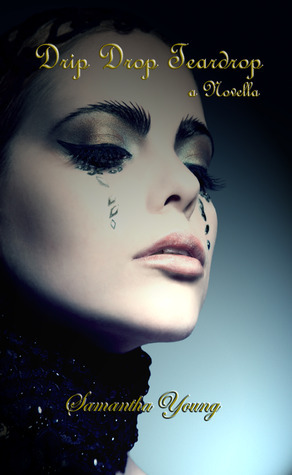 I wanted to read something from Samantha Young and saw Drip Drip Teardrop in Kindle store. I thought I gave it a try and it was surprisingly not bad. It did show potential but since Ms Young intended this to be a novella, I read it on its face value. I rated this novella 3-star. Drip Drip Teardrop was about a girl who fought Angel of Death and won, however, lost both of her parents in the same accident in London. Avery felt guilty for coercing her parents for the London trip and eventually involved in the accident, she was making up the guiltiness by being a responsible girl for her aunt who was diagnosed with cancer. Avery spiked Brennus’s interest when she was able to escape her fate. According to the legend if Brennus was able to fall in love with a mortal and loved by a mortal, he will be set free of his curse. It was pretty spark-less interactions between Brennus and Avery. I just don’t see how both of them could be head over heels in that short amount of time. I am getting comfortable with Ms. Young’s writing and decided to start on Tale of Lunarmorte.